Simply Garage Conversions work with you every step of the way, from the moment you invite us into your home, we start thinking about the right design to meet your requirements. In comparison to building an extension or a loft conversion, converting your garage will most likely create the maximum floor space for the minimum expense. In addition, each conversion is skillfully installed by our qualified craftsmen who have years of specialist experience. Sometimes permitted development rights have been removed from some properties with regard to garage conversions and therefore you should contact your local planning authority before proceeding, particularly if you live on a new housing development or in a conservation area. A garage conversions can be one of the quickest and most affordable ways to add living space to a home. The foundation, walls and roof are already in place. The wiring is often sufficient. 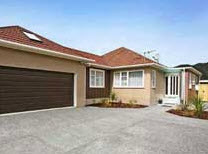 And if the garage is attached to the house, the entry already exists. In many houses, a well-planned garage conversion can create a new room or rooms that blend seamlessly with the existing house. The process should begin with a careful assessment of the garage and the problems and promises it holds. We provide Garage conversions in Dudley, Garage conversions in Birmingham, Garage conversions in west midlands, etc. A rooflight is a window that is installed within a pitched roof or flat roof normally to give more light to rooms or spaces within the home. Approval under the Building Regulations will generally be needed for the installation of a new rooflights. To install a rooflight, the roof structure will generally need to be altered to create the opening.The roof will have to be able to carry the load (weight) of the new rooflight. If the roof can not do this then it will need to be strengthened. If the rooflight is in close proximity to a boundary, the fire performance of the rooflight will need to be considered. You do not normally need to apply for planning permission to re-roof your house or to insert roof lights or skylights. If you want to carry out repairs on or re-cover less than 25 per cent of the area of a pitch or flat roof, you will not normally need to submit a building regulations application. Once a rooflight is installed the edges (where the rooflight meets the roof) will require weather proofing as well as the glass of the rooflight itself. This is commonly carried out by using lead flashing or with proprietary kits supplied with the rooflight.